Winter Call for Submissions and Day 9 of our Partner Celebration! 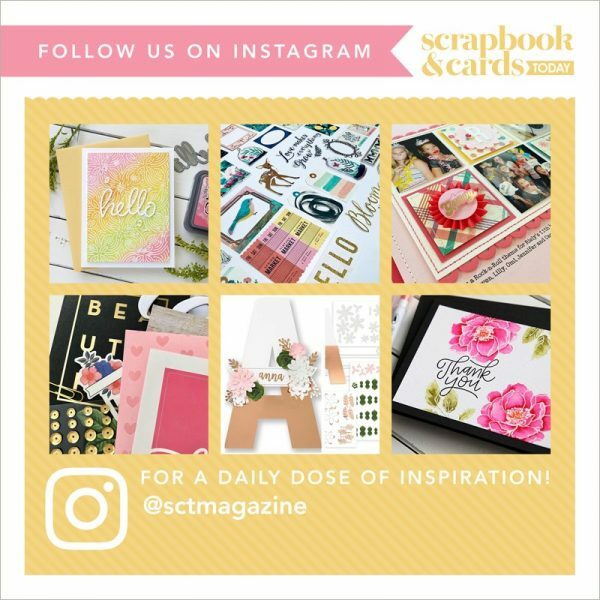 SKETCH SAVVY COLUMN CALL – A card sketch! This is your chance to be a part of one of our most popular columns. Take a look at our card sketch here, and use it as a springboard for your own design. Then send your project our way for consideration. Please keep seasonality in mind. And feel free to make this card sketch your own. Turn it, adjust it, and adapt it to your unique creative style. Or follow it directly. We welcome all approaches and can’t wait to see your interpretations! If your work is accepted for publication, you will receive a copy of the issue, as well as a box of crafting supplies provided by our generous industry partners. Thank you for submitting! We’re always inspired by your ideas and can’t wait to see what you’ve been working on. Partner Appreciation GIVEAWAY – Day Nine! Are you enjoying our Partner Celebration? We love how you've been thanking our partners each day and we can tell you, they are loving it too! If you're joining us for the first time, be sure to start at Day One! Today we are thrilled to celebrate our friends at Pink Paislee! We've worked with Pink Paislee since their very first products released in 2007! We remember walking in to the New Product Section at our industry trade show (CHA) and being so impressed with the branding, products and of course the people behind this great company. 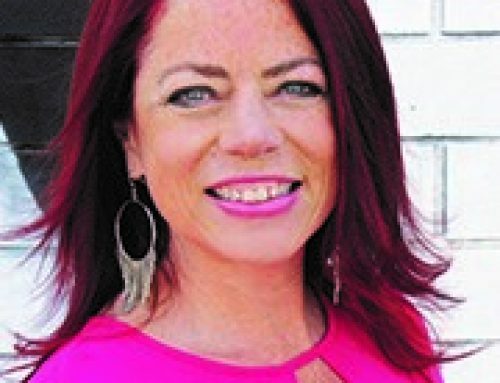 Fast forward to today where Pink Paislee is part of the the American Crafts brand and still continuing to create beautiful and innovative products. 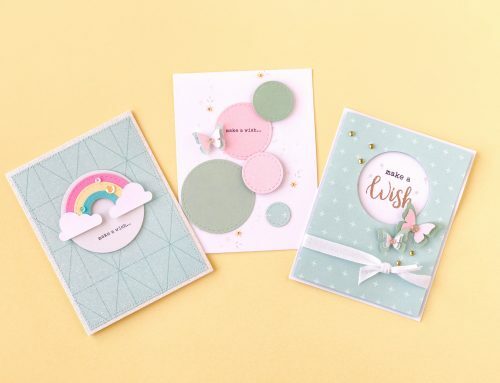 When we saw the C'est La Vie collection when it released this past January we were thrilled by the colour palette, the glitter and the mirrored words! Yes, you had us at the gold throughout this line! Our friends at Pink Paislee would love to share a selection from this great collection with YOU! For an opportunity to win today's prize be sure to leave a comment below by Wednesday, September 7th! Looking for more Pink Paislee inspiration? Here are all the places you'll find them! Thank you again for joining us today! See you tomorrow for Day TEN! Oh what an awesome collection this looks like from Pink Paislee, one can only imagine how beautiful creations they will make. Thanks for this chance to win. Look at all the yummy gold in this collection! It looks to be rather awesome…. Such a beautiful collection with so many possibilities!! Lovely collection! Love the partners. Beautiful collection from Pink Paislee! What a beautiful collection! The colors and flowers are gorgeous! This is the collection I have to have. Pink Paislee is an outstanding company with the style I love! TFS. Pink Paislee always has the most beautiful collections. Lots of cool gold colors. I would love to win. Thanks for the chance. Another great collection from Pink Paisley! Love Pink Paislee and this collection! Thanks for another great giveaway! Wow! Spell that backwards! Love the C’est la Vie collection. Thank you. Ooooh, all kinds of pretty doodads in this collection. Thanks for the opportunity to win. Thanks for the chance for a great prize ? I haven’t yet tried gold. Do you think it will match masculine pages or will I just have to scrapbook my story with it? Love gold and love Pink Paislee – what could be better!! Thank you for this fabulous giveaway!! Glitter is my favorite embellishment! What a lovely giveaway! Very pretty collection by Pink Paislee. Love the colors. Thanks for sharing with us! C’est La Vie collection is a beauty! Thanks for your partnership, Pink Paislee, and for this great prize! That’s a great collection! Thanks for the chance to win! Such a beautiful collection! Thanks for the chance to win! That collection looks so elegant. It will give a bit of class to almost any layout. Thanks for the chance. Such a nice collection. I always love your colors and patterns. This is a very nice collection! Thanks for the chance to win! Pink Paislee has been one of my favorite manufacturers since they began. I love all of their products! Looks like a great collection! Thanks for the chance to win it. Beautiful Collection, love it. Thanks for sharing! Thanks Pink Paislee for the pretty collection you are giving away! Love the collection of colors in this. Thank you for the card sketch too. this collection is gorgeous..thanks so much for the chance to win! Would be so exciting to get to play with this collection! Love this collections – Black and white, how Chic. I’ve loved Pink Paislee ever since they first came out on the market in Kansas City. They just keep getting better and better with age. Ooh La La from the top corner is right!!! What a great colour palette and all that gold, LOVE! I love Pink Paislee! With three little princesses to scrapbook, they are usually good and girly!! Thanks for the chance to win! Such a wonderful collectIon! Thanks for the chance to win! So pretty…..thanks for the chance to win! I’m ready to go for the gold! Such a beautiful collection. Thanks! What a lovely collection. thank you Pink Paislee for offering this in the contest. Thank you to SCT for running these contests every day. Love the flowers in this beautiful collection! beautiful papers!! im loving the golds and bling as well! Love the colour palette on this collection! So pretty and classic Looking! I have bits and pieces from this beautiful collection….but seeing it all together-WOW!!!! The C’est la vie collection would be perfect for a heritage album. I have some old photos I have been meaning to get into an album. Oh I loved this collection when it was released! Nobody here stocked it so I had to go without. Thank you for your amazing giveaways. I love this collection! I was never able to get it but I’d love to have it! Thanks for the chance to win!! Gorgeous collection! Thanks for a chance to win! This looks like a wonderful collection. Thanks for the chance! Love the gold, pink and yellow in this collection! How beautiful! Love Pin Paislee!even the name is gorgeous! Oh my goodness! Oh my goodness! Oh my goodness! Oh my goodness! Oh my goodness! Oh my goodness! This giveaway is DEFINITELY my favourite of all the prizes so far!! I would absolutely LOVE to get my hands on all these beautiful goodies!! I’m a HUGE fan of Pink Paislee!! LOVE…LOVE…LOVE this collection!! Thank you for the chance to win!! What a truly beautiful collection! Beautiful. Great month do far! Great prizes! Thank you to all the sponsors. Will make a lot of wonderful greeting cards. C’est La Vie Collection with those amazing mirrored words and all that gold and glitter. So Fun. Love this collection. Thanks for the opportunity to win this beautiful line of products. I love all the gold in that collection! It definitely has a Parisian feel to it, so the C’est La Vie name is so apt! Love the sketch! What great inspiration! Thank you for the chance to win the gorgeous pink paislee collection, too! I would love to win this prize!!! This collection is absolutely gorgeous!!! Would love to win some to add to my scrappy stash!!! Thanks for the chance! Oh wow….I’ve had my eye on this collection for quite some time now. PP products are so lovely and this collection is definitely one of my favorites. Whoever wins this will be thrilled I’m sure! Wow Pink Paislee these are super great colors and these would make any card or scrap page pop.Thanks for the chance to win. Ooh! I love Pink Paislee! Looks like a great set! I love Pink Paislee’s newest collection C’est La Vie! So beautiful! Pink Paislee is always outstanding. Thanks for offering this collection today! I’m really love the gold accents on pages and embellishments. Thanks for the chance to win the awesome prize! Beautiful colors in that collection – love the cork hearts! Thanks for the chance! Beautiful prize for today! Thanks for the chance! Ohhh this collection was sold out at my lss before I could get my scrappy hands on them, thank you for the chance to win this beautiful collection! Love anything gold. Pink Paislee designs are awesome. Thanks for the opportunity to win such a great kit. A very sophisticated collection! Love it! Thanks for a chance to be a winner with such a great collection. Wow!!! Amazing goodies from Pink Paislee! What a gorgeous collection! Thanks for a chance to win! Gold, silver, black and pink… what’s not to love? Beautiful collection! What a great giveaway! ooohhh—love Pink Paislee! Always have—they are amazing! thank you for the wonderful chance! Love Pink Paislee – they’ve made some of my favorite collections! Thanks for the chance to win! This is such an elegant collection – simply beautiful and stunning. Thanks for the chance to win. C’est la vie is a stunning collection! Pink Paislee has created some amazing collections in recent years. So much fun stuff and so little time! Love all of it! Thanks for sharing! Thanks for the chance to win this great collection from Pink Paislee!! I hope I get picked to win! Totally, head over heels, bouncing off the walls in love with this collection!! I left them an abundance of love on FB for their generosity!! OOOO! Happy days!! Gorgeous collection! Thanks for the chance to win! Love Pink Paislee! This collection is beautiful! Thanks for the chance Pink Paislee! Beautiful collection! Thank you for the give away! I love all the embellishments! What a beautiful collection! Pink Paislee never disappoints! Loving the Pink Paislee collection–hits of gold, classic black and white! C’est La Vie!!! Looks like fun to try and get published. Great collection with Pink Pailee. Love the gorgeous collection, thanks for the chance! Pink Paislee is my fave!!! I’ve not used a planner — looks like a good way to start one. So beautiful. Love the mirrored lettering. Beautiful Pink Paislee as always. A really versatile collection. Lots of neutrals with a pop of pink (my favourite colour). I’m going to Paris next year and would love to have this gorgeous collection to scrapbook my trip! Thanks, PP! Very pretty collection-it looks like it would work well with lots of things. Wow! would love to start scrapping my husband and I with this collection! Black and gold what a fab colour combination, would so love to win this prize. LOVE everything by Pink Paislee! This collection is just gorgeous and I am really enjoying all the partner intros. What a gorgeous kit, love the gold and silver! I like the elegance these products have. I love this gorgeous PP collection!!! Thanks for another awesome day of inspiration and happiness!!! Ooh la la! C’est la Vie is a great looking collection! Another beautiful Pink Paislee collection…love the colour combination!!! This collection is classic, chic and perfect for cards as well as for some planner love action. Enchanting designs. Cheers! I can’t resist gold and shimmer so this is a favorite! Thanks for the chance to win some gorgeousness! I’m loving August on the SCT blog! Oh my, oh my, oh my…..beautiful and beyond! Would love to win such a gorgeous collection from Pink Paislee! Beautiful collection, I especially love the vintage style roses. Beautiful collection from Pink Paislee. I love all the golds in it. thanks for the chance. I have seen this beautiful collection used by some of the greats in the scrapbook industry online. How fun would it be to get to use it too! Gold and black fabulous colour combo – would look great in my album. Thanks to your amazing sponsors..
Looks like a very sparkly collection and love the pink that is showing. Lovely goodies. Thanks for a chance to win. What a pretty collection. Thanks for the chance to win. Another great partnership! This collection is awesome! Would love to win it! Thanks for the chance! As always so elegant Pink Paisley – beautiful collection. This collection is so gorgeous and I would love to be a proud owner of it! Such a beautiful collections! I love the gold. What a GORGEOUS collection! I LOVE all the gold! Love the color and patterns! This is a beautiful line! I missed it in the stores, so I really appreciate this opportunity. Pink Paislee can do no wrong, everything they do is amazing. Wow! What an awesome collection from Pink Paislee! Thanks for the chance to win! Gold and Black C’est La Vie is a gorgeous collection. Kudos to their designers. Love this! Love Pink Paislee! Thanks SCT! I love celebrations and free gifts! Thanks Pink Paislee! A girl can never have too much gold!!! What a gorgeous collection! Looking forward to submitting some work! Thanks! Beautiful collection! Thank you for the chance! Wow, so much amazing all in one photo! Great giveaway! Love this collection from Pink Paislee. So many ideas for this! I love using this collection for my young daughter. It’s beautiful and timeless. Thanks Pink Paislee. Pink Paislee… one of my favourite scrappy brands. This collection looks amazing and I particularly love the touches of gold. I’d love to win this pretty collection. Got to love Pink Paislee, this is such a beautiful collection. Thank you so much for this amazing giveaway. OH my gosh, I love pink paislee!!! Beautiful Pink Paislee, tfs and the chance to win! Gorgeous! Thanks for a chance to win ! Gorgeous with the gold and the flowers! I am truly enjoying getting to know about all these awesome companies. Thanks! Very pretty collection and I’d love to win them – thanks for the chance! Pink Paislee has great a looking scrapbooking kit with C’est la Vie! Thanks for the chance to win. Beautiful products, great prize package! I love the colors in this collection- especially glitter!!! Thanks for giving us the chance to win! Such an awesome Pink Paislee giveaway! I would love to create with all of it! Oooohhh those black alphas and gold acrylic sentiments… drool, I’m feeling my inner Homer Simpson. Thanks for the chance to win this gorgeous collection. Love the selection from Pink Paislee!! What a beautiful collection. This would be perfect for my son and daughter-in-law wedding photos. Thank you for offering such a great prize. You have given me a chance to win crafts in my favourite colour-GOLD! The other colours blend so nicely. Pink Paislee always has the most beautiful collections! Love all the glittery gold! Lovely florals and gold in this collection. Thanks for a chance to win! Lovely collection! Would love to win some for my stash! Thanks! Such a beautiful collection from Pink Paislee! Pink Paislee is still one of the best. Great stuff! Thanks for great prize . Amazing colors and such fun products! Would be so fun to add to my stash! C’est La Vie is a gorgeous collection. Such neutral colours but such a broad range you can do with them!! Thanks for sharing your product with one lucky person!! Thanks SCT for so many inspiring ideas. Keep up the great work!! Didn’t realize Pink Paislee had been in business so long-guess I’m behind the times. Wait while I catch up. Thanks, SCT. Love this collection! Just gorgeous! Such a pretty collection Pink Paislee! Lovely. Thanks for the opportunity. Pink Paislee has always been one of my favorites! What a gorgeous collection. I adore Pink Paislee….and I submitted for the Winter issue. Whoop! Thanks to PP for sponsoring the prize today. Amazing prizes. Thanks for the chance to win. Love Pink Paisley!! 🙂 thanks for the chance!! I love the colours of this great kit!!! Fave company recently! Such great stuff!!! Love this kit! So adorable. Who couldn’t love a company names Pink Paislee?! LOVE LOVE LOVE this collection!!! Thank you so much for the chance to win! I just love Pink Paislee and their collections. Such a gorgeous collection of fun products! Love all the Pink Paislee collections–this one is a pretty theme! I would love to use C’est La Vie for documenting my daughter and summer garden life! Merci Pink Paisley! Tre Magnifique! gorgeous collection. Thank you for the chance to win! The C’est La Vie collection looks lovely! Thank you for the chance to win. Sweet! Such a lovely collection! Thanks for the chance to win! Such a pretty collection, can think of lots of ways I’d use this. Thanks for the chance to win it! Such an elegant collection, love Pink Paislee! You had me a gold too! Love the collection. Thanks for a chance to win. Awesome! Thanks for the give away! Ooh-pink, black and gold. My favorite color combo! Beautiful prize, Pink Paisley. Thanks for the chance to win. Yay for Pink Paislee! This collection looks AWESOME! I love the colour combo here! Thank you for the wonderful prize! The prints and colors in this collection make my heart happy! Fingers crossed on this one! One greet collection!! So pretty … Expecially with the pops of gold!! I love it all!! I’ve got a few things to submit for your consideration. Would LOVE to be printed in your magazine. And I fun products to create with and LOVE SCT too! Thank you for the opportunity! What a beautiful collection! Thanks for sharing Pink Paislee!! I want to say thank you to Pink Paislee for their contribution to the celebration! I’m hoping to win this one especially!! So gorgeous and sophisticated! You can’t go wrong with glitter and gold! Thanks for the chance to win this awesomeness! Wonderful collection and timely too with all the planner love going on! How wonderful Pink Paislee, thanks for the chance to win fabulous prizes! Pink Paisley has some gorgeous collections! If you are looking to make something pretty go to them! Thanks for supporting SCT! Wow the C’est La Vie collection looks great! Love the color scheme!! Love this collection. Thank you so much for the chance to win! I have never used Pink Paislee but would love to if I won! Beautiful collection. Thank you for this giveaway! This collection is amazing!! I love the colors 🙂 thanks for the chance to win!!! Such a great collection! Thank you for the chance to win. 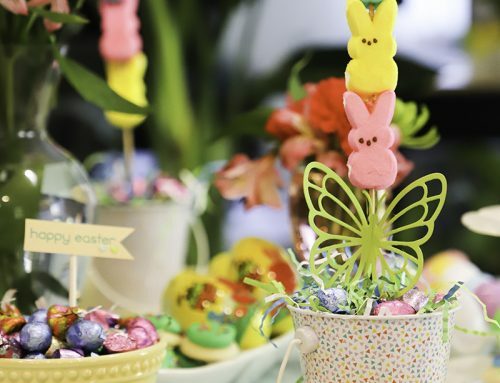 Oh my, I love the colors and all the wonderful goodies in this collection. What a gorgeous collection. Would love to play with this. This is such a beautiful collection. Love all the collaboration you have with these companies. Such a pretty collection from a great company. Thanks for a chance to win. What a beautiful collection! It includes all my fave colours…pink, black, white and gold! This line is just gorgeous! Crate Paper is always coming out with something I must have (and in duplicate!) Thank you for the chance to win. Thank you for the chance to win! I love Pink Paislee! gorgeous! Esp. love the hearts! Pink Paislee is always so innovative-loving the cork hearts with the gold sparkle especially-never seen anything like those before! Thanks for the chance to win! Love Pink Paislee’s new C’est La Vie with its gorgeous gold and floral patterns throughout the collection!! Would be awesome to create with! Awesome collections! Will enhance cards and pages for sure. Love new ideas. Love this! have always loved PP! Thanks for the chance to win! 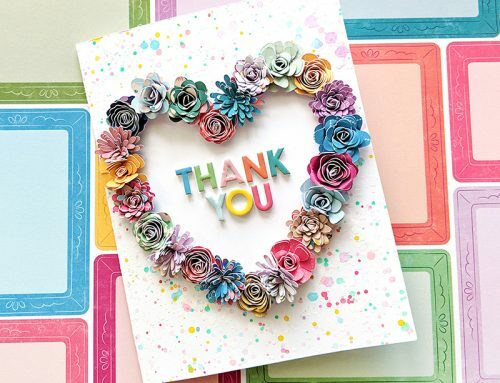 just love the C’est La Vie collection and and I would love to make some beautiful cards with all of these goodies!! THank you Pink Paislee and SCT!! You are all amazing! Gorgeous stuff! Thanks for partnering with SCT for a giveaway! Scrapbook & Cards Today is simply THE best. Love the color palette and romance! One of my favorite collections. Awesome collection…how fun to have a chance to win this! What an elegant collection! Thanks for the chance to win! C’est La Vie collection is SO classy looking! Yay for Pink Paislee! So pretty!! Beautiful collection. Love the hearts and roses. Wowwwww this is so elegant and amazing. I often have a difficult time finding ‘mature’ looking motifs that enhance my photos, as I don’t have children. but these are stunning! What a lovely collection! Thanks for the chance to win! These looks so elegant I love them! 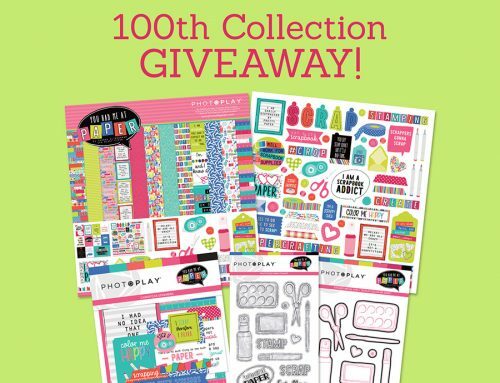 Lovely collection and fantastic giveaway. Beautiful collection from Pink Paisley! I love every collection Pink Paislee releases! Love the colors and patterns. Pink Paislee you really rock! Thanks for your generosity! I love the vintage feel and the gold in this collection! this is a fabulous prize, thanks for the chance to win. Such a beautiful line of products! Pink Paislee makes some of my favorites every year! Thank you for the opportunity to win!! My newest must have…gold foil. Love this collection. Very pretty set. Nice giveaway. OMG! I loved this collection when I first saw it! Unfortunately, funds are tight right now. Would love to win! Awesome prize. Thanks Pink Paislee. Great collection! Love the gold elements!